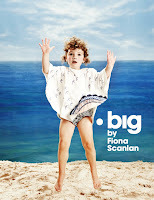 I have completed my buying with Big & Fiona for Winter and I am sure you will be pleased with the range. The lovely Tara was nice enough to give some of their professional shots for Summer. Here is what is coming soon. Enjoy!